Help from start to finish. If you are not exactly sure what you want, the best way to get started is to bring your project measurements to our office and discuss it with one of our design consultants. We can provide you with a free quote and answer questions about countertops, floors, different materials, edges and/or sinks. You can visit our showroom and look through our slab inventory in person to get a better idea of what will look good with your project. If you already have cabinet plans for your kitchen, bathroom, or other countertop need, you can obtain a quote by simply sending them to us via fax, email, or our easy to use web form. Please make sure you include all of the details, including stone name/type, sink style, edge type, and any other design characteristic that we need to consider. After acceptance of the quote, we will schedule a time to come to your location and take measurements of your project. 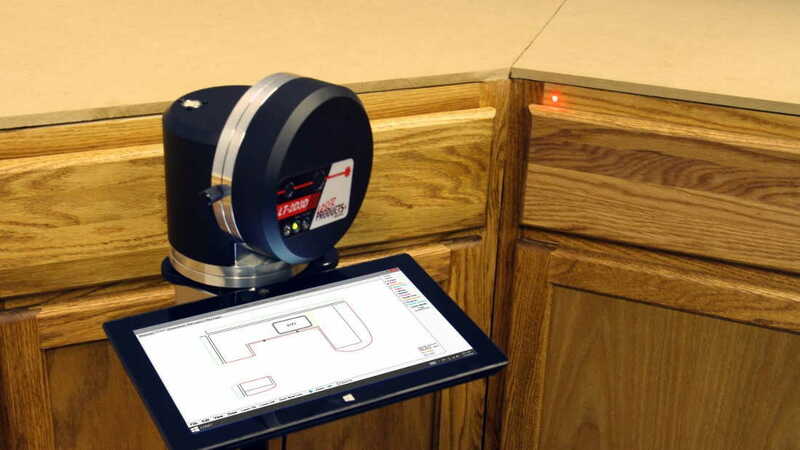 We use a modern laser based templating system to get exact measurements. These measurements are then used to create a digital template, to be used in the fabrication of your stone. Any sinks, faucets or other items should be on site and available at the time of templating. Also, you should plan on being present, to ask or answer any questions. It is very important that we get accurate measurements. 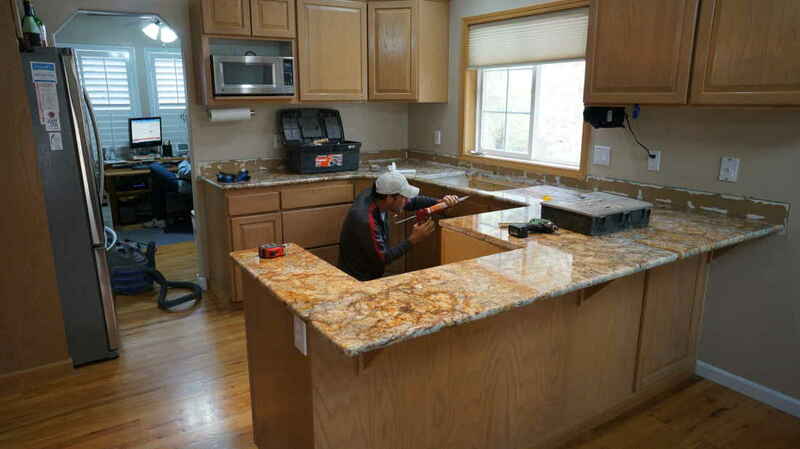 It is not absolutely necessary to remove your countertops for measurement, however, we can get better accuracy if the old counters are removed exposing the cabinets. When your template information arrives back at our fabrication facility, it is entered into our computer network for use around the shop. Before fabrication begins, the templates are matched with the slabs to insure proper grain pattern movement and color continuity. After the template matching is complete, the slabs are rough-cut using a large diamond blade saw. 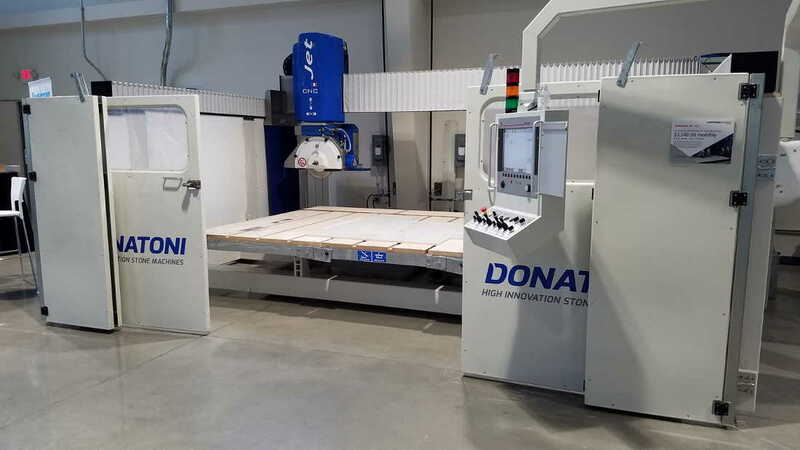 They are then moved to our state-of-the-art CNC machine and cut to the exact shape of the template. Edge details are also applied at that time. All pieces are then hand polished and completed... ready for installation. Installation is relatively quick, and can usually be completed in one day, depending on the size and complexity of your project. We will install and seal your new stone, and mount any bathroom or kitchen sinks as necessary. You will need to have any sink hardware such as faucets, soap dispensers, etc., available at the time of installation so that holes can be drilled.